This listing is for your candle and petition to be lit and offered by me on December 31st to bless your year with abundanct blessings of prosperity, peace, love and health. I will light one candle for you and add it to my altar during the ceremony that I hold at my home each year. 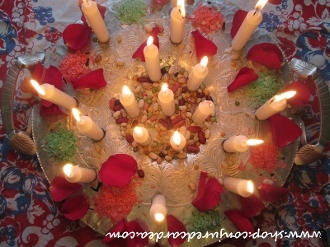 You will be sent photos of the ritual within 72 hours from the end of the candle burning session. Please leave your request in the "note" section upon payment and I will light a candle, dressed my Happy New Year! oil, for your goal during.